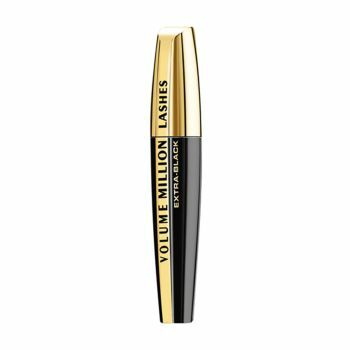 Millionize your lashes in intense black! The Millionizer Brush has a multitude of bristles which separate lashes for a fanned-out effect. The elastomer applicator is ultra flexible with both long and short bristles to coat lashes. The Excess Wiper leaves the brush coated with just the right amount of formula to achieve a volumized appearance with no overload and no clumps. With Carbon black pigments for a profoundly deep black.